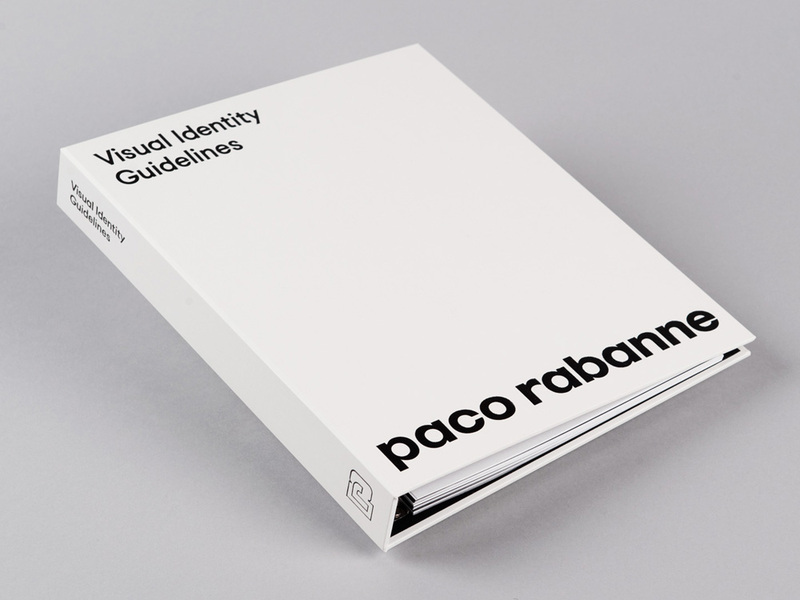 Established in 1966, Paco Rabanne is the eponymous fashion label of Spain-born, Paris-based Paco Rabanne (né Francisco Rabaneda Cuervo). 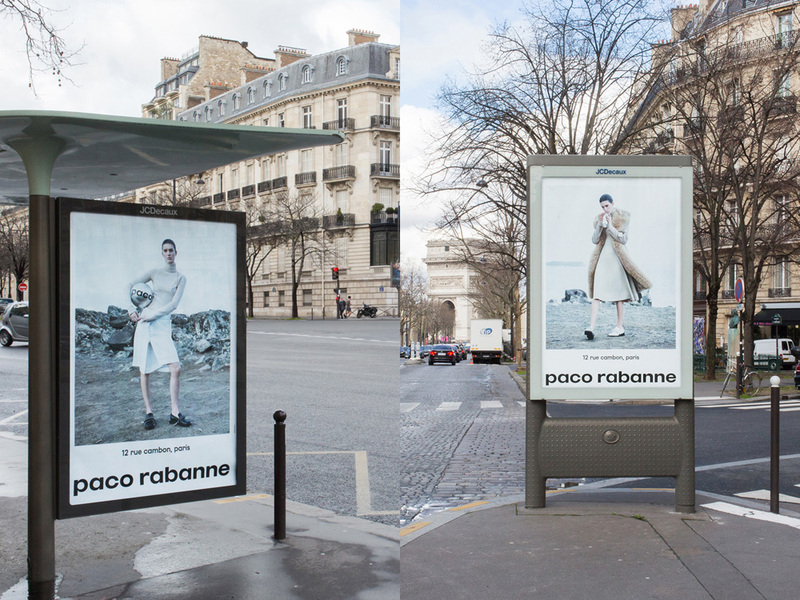 Rabanne’s approach has been unconventional and revolutionary in both form and materials used that have led to a vast portfolio of couture and ready to wear fashion items. He’s also done jewelry, fragrances, and costume design for movies like Barbarella. 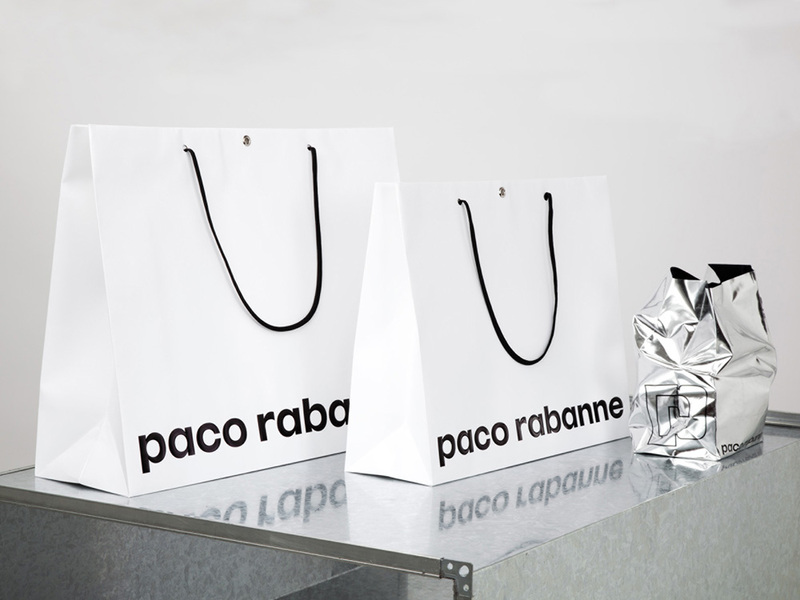 The Paco Rabanne clothes, shoes, and accessories can be found in select stockists worldwide (like Barney’s New York) or in the single flagship store in Paris that opened in late 2015. 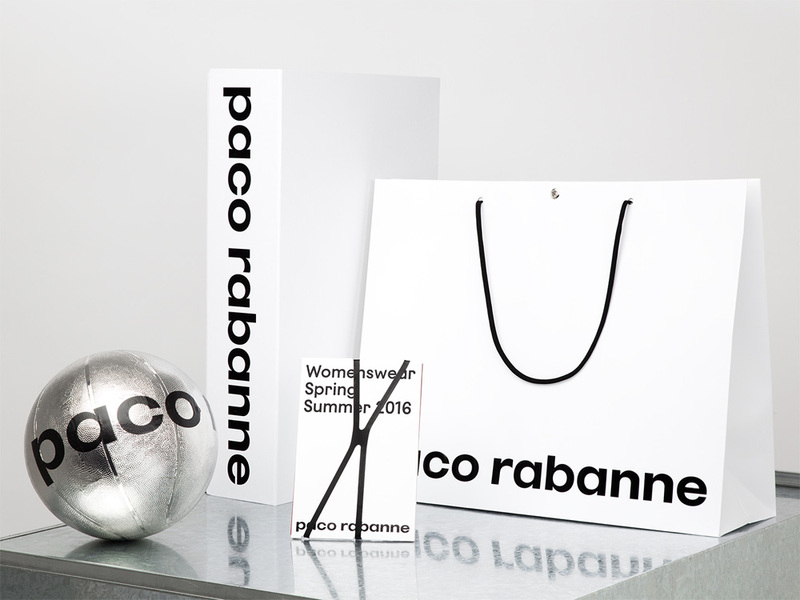 As part of the new store and a new website, Paco Rabanne introduced a new logo and identity designed by London-based Zak Group. 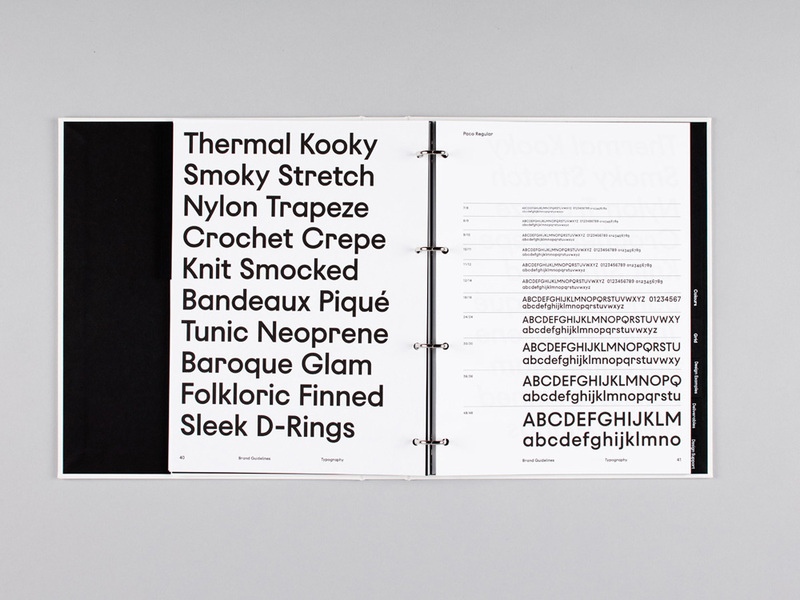 The original 1970s identity has been newly streamlined as a monogram and logotype, featuring carefully finessed details inspired by ink-traps, which have been derived through an exploration of the physical construction of letterforms. The new monogram was redrawn using a monowidth stroke to expose its structure and to give the mark a lighter, more contemporary feel. 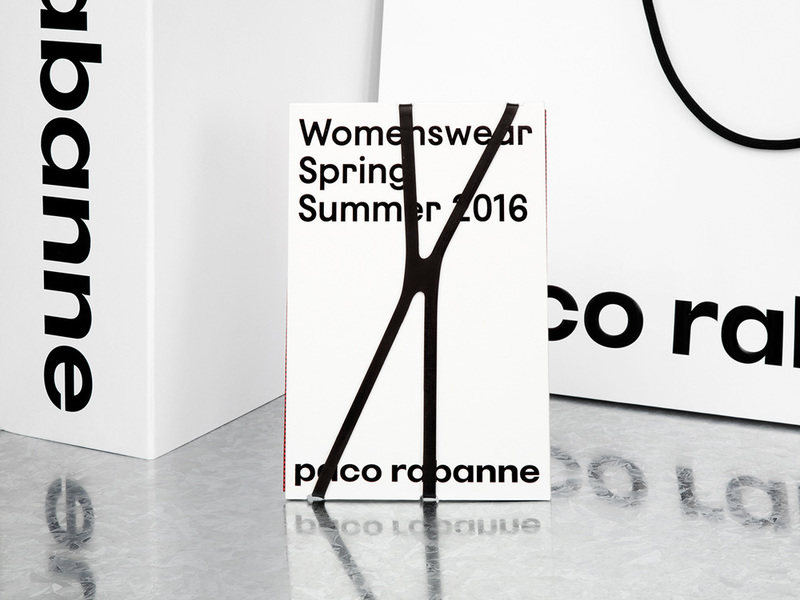 A new custom typeface, Paco Sans, combines geometric qualities with warmer human forms and has been designed for use across Paco Rabanne’s communications. Logo, very close-up to show the ink traps. The old logo is, literally, really old, having been the same since the label started in 1966, rocking a geometric sans serif way before the cool kids were doing it 50 years later all day, every day. The logo was fine but mostly looking like a default typesetting lacking any sense of craftsmanship or daringness. The new logo opts for a minimal evolution, keeping the overall silhouette of the old logo but exaggerating the thicks and thins as curves meet stems that instantly give the wordmark more personality and a more richly sculpted aesthetic. The resulting shapes are like a cross of Futura and Antique Olive (which is one of my all-time favorite fonts that I have yet to work into a project). It could be argued that the change is so subtle that why bother? The old logo was technically out of date, it was like watching television on an old CRT TV set: sure, you can still use it (and sometimes not really) but why would you when you can have something that’s better built and functions with higher style? The redesign also included updating the “pr” monogram, where both old and new diverge in style from their respective wordmarks. 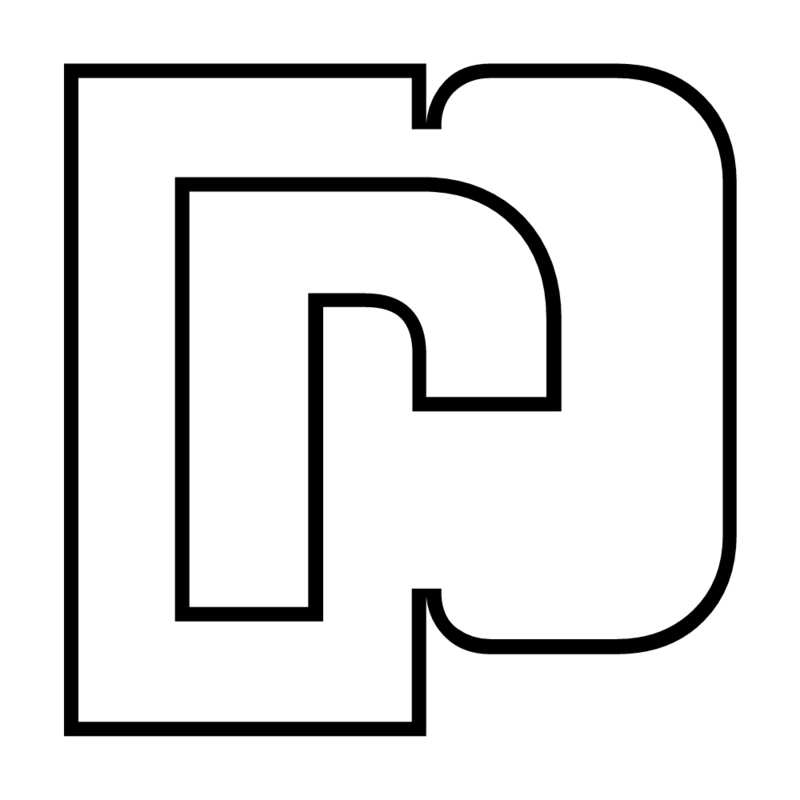 Both are fine as alternate expressions although they are neither very different nor very similar to the wordmark which, to me, create a slight short circuit. On the new one, I really like the stroke construction and I love love love the detail where the curve meets the stem that the bezier points aren’t joining and instead sit side by side, creating this unique double-stroke moment. However I hate hate hate the shape of the “r”. Maybe I don’t hate it three times but I wanted to be consistent with the previous sentence. Nonetheless, I like the general feel of the monogram and can look past my own personal preference of how “r”s are shaped and appreciate the quirkiness of it. Guidelines. 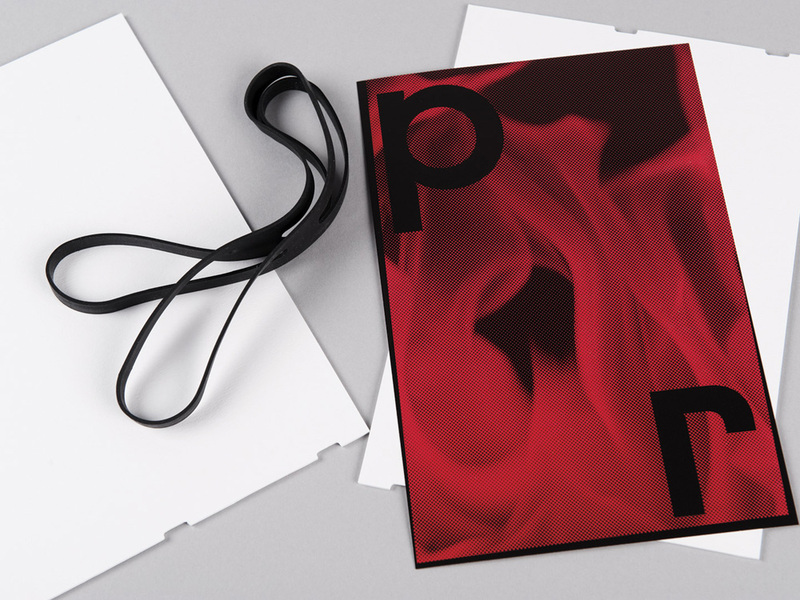 Image directly above shows the custom Paco Sans font created for the identity. 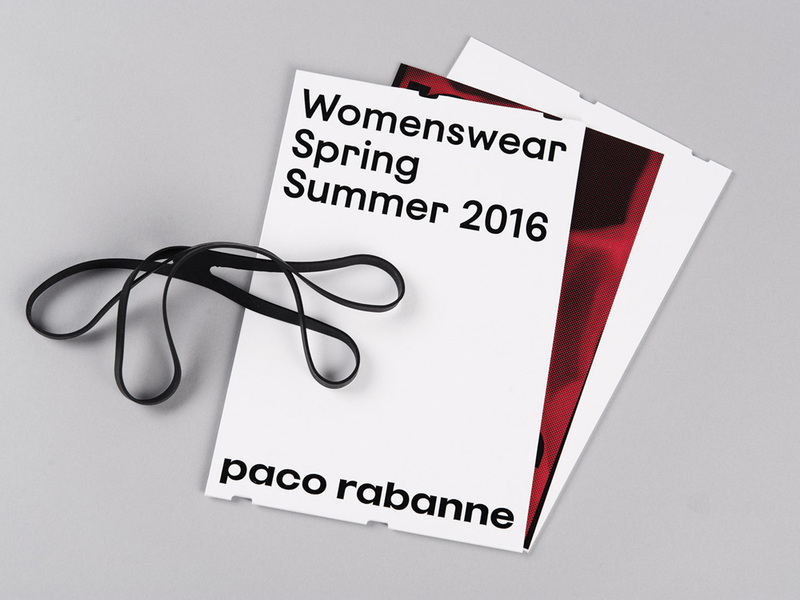 In application, it’s about what you would expect from a luxury fashion label: lots of white space with full emphasis on the logo. Without the update to the logo, this approach would look lackluster and unsophisticated but the new logo benefits so much from being used large that these minimal designs work perfectly. The touches of silver, including that bitchin’ basketball circle back to Rabanne’s use of metal in his designs and work great as color accents. 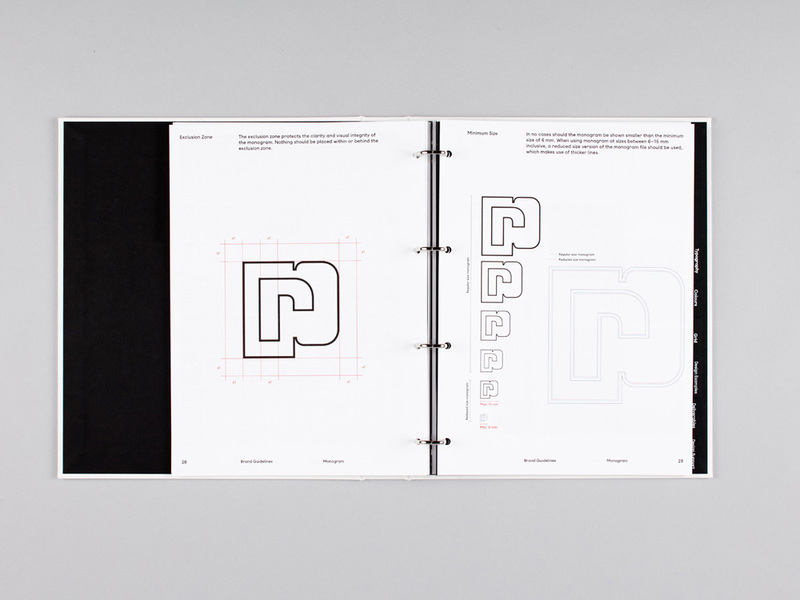 Overall, a fantastic upgrade in aesthetic and functionality for the logo, applied boldly and confidently. Thanks to Brandemia for the tip. 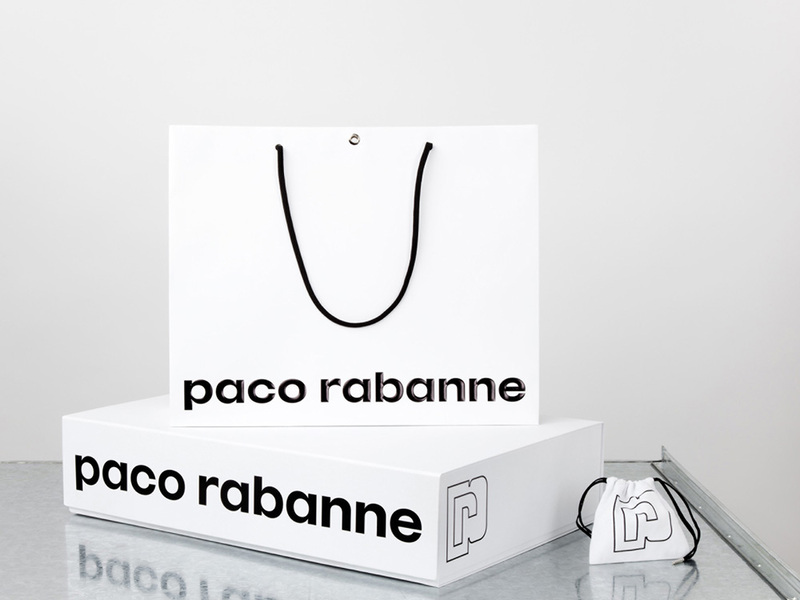 Established in 1966, Paco Rabanne is the eponymous fashion label of Spain-born, Paris-based Paco Rabanne (né Francisco Rabaneda Cuervo). Rabanne's approach has been unconventional and revolutionary in both form and materials used that have led to a vast portfolio of couture and ready to wear fashion items. He's also done jewelry, fragrances, and costume design for movies like Barbarella. 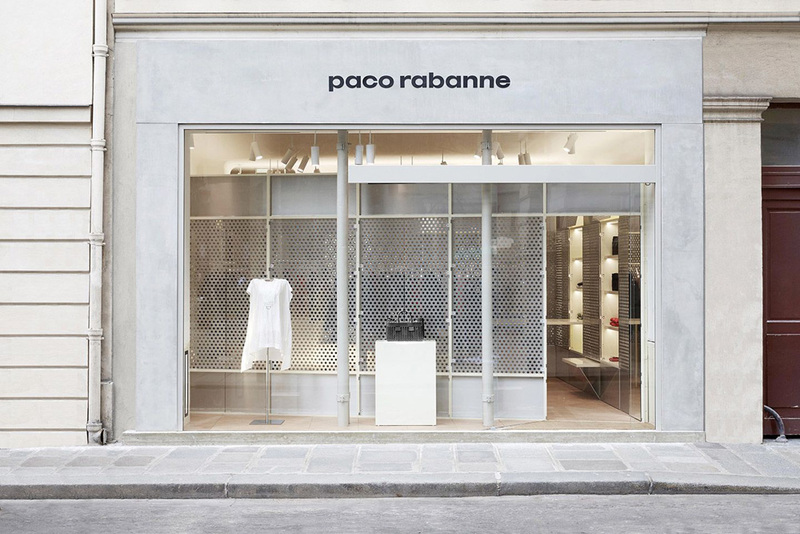 The Paco Rabanne clothes, shoes, and accessories can be found in select stockists worldwide (like Barney's New York) or in the single flagship store in Paris that opened in late 2015. 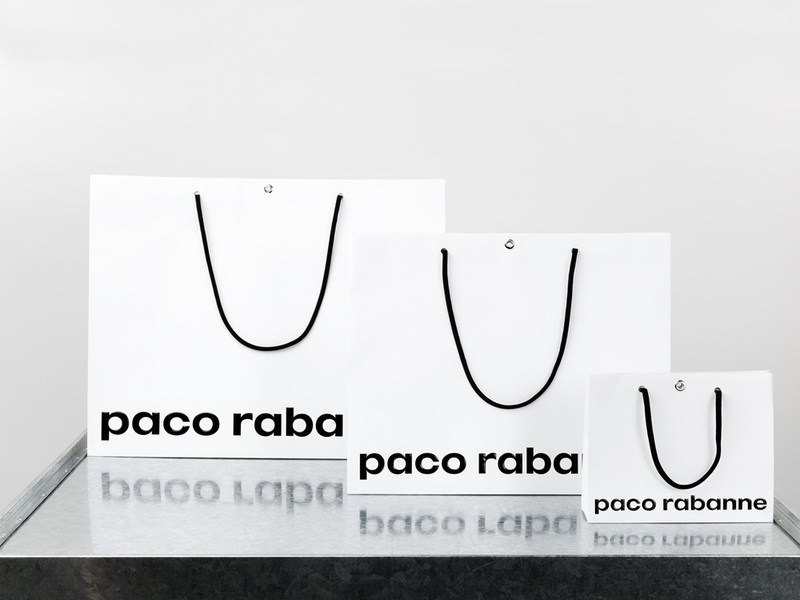 As part of the new store and a new website, Paco Rabanne introduced a new logo and identity designed by London-based Zak Group.